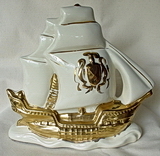 Lampcrafts is best known for their popular TV lamps depicting old sailing ships, a design that they must have sold by the zillions. I'm on the lookout for more information on this company! 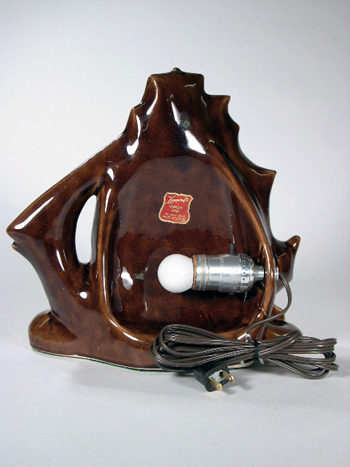 Found in many colors, including white, black, gray and green, this TV lamp from Lampcrafts was a big seller and frequently seen at shops or at auction. Photos courtesy of Woodland Trace Collectibles/Bill Keller, Knoxville, TN. 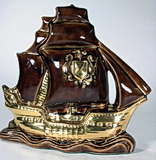 Back view of the Lampcrafts ship. 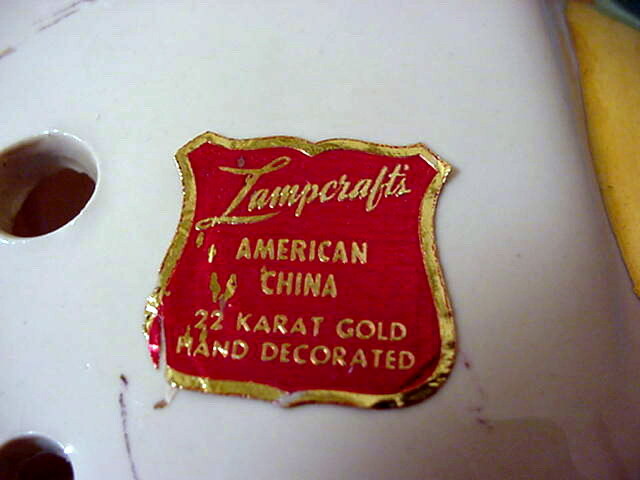 This example has an intact Lampcrafts label. 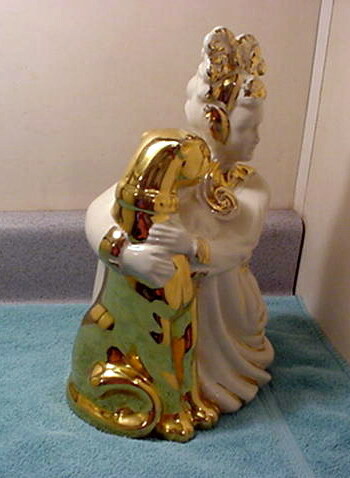 These gold-trimmed ships were popular, but often suffer from deterioration of the gold areas. This one is in fairly good condition. Also found in black, brown or green. 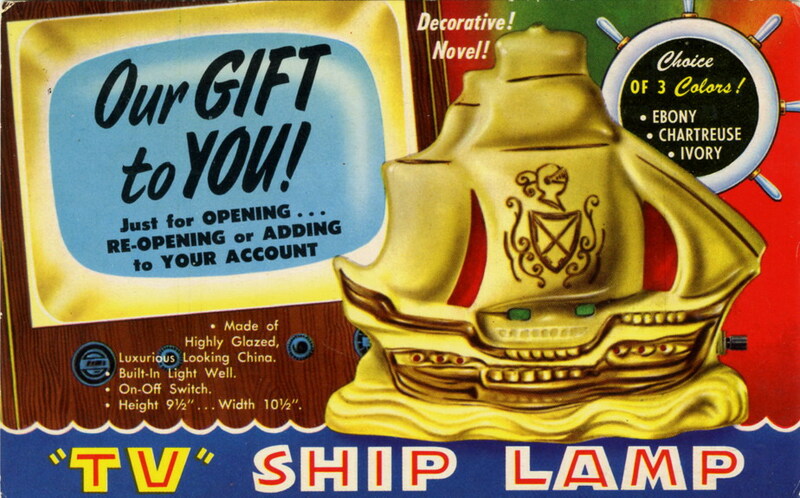 This vintage postcard features one of the Lampcrafts ships (above) that was offered as a free gift with any new account at Lewis, a business at the corner of 4th and Liberty in Louisville, Kentucky. Is anyone out there from that area and familiar with the Lewis store? 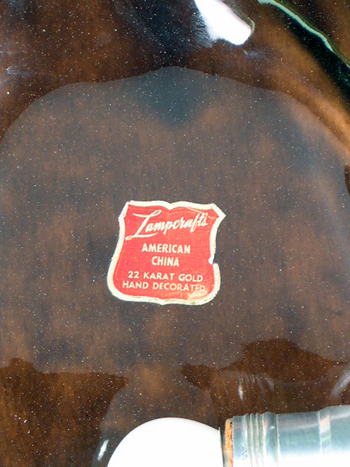 Lampcrafts had an extremely tasteful design on their hands with this one. 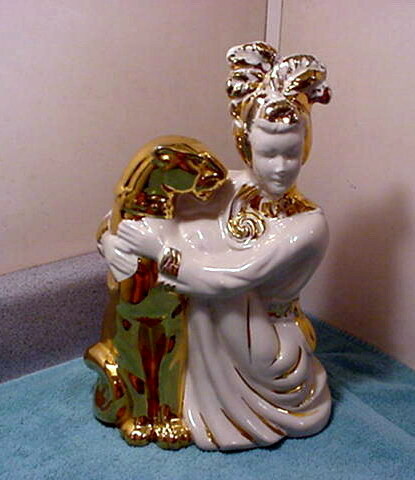 It is a wonderful homage to a prevalent style of the era... a love of all things mysterious and exotic. Photos courtesy of Elaine from Park City, Montana. 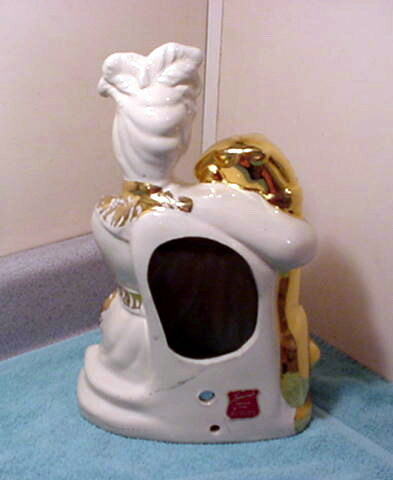 Back view of the lady and her cat! 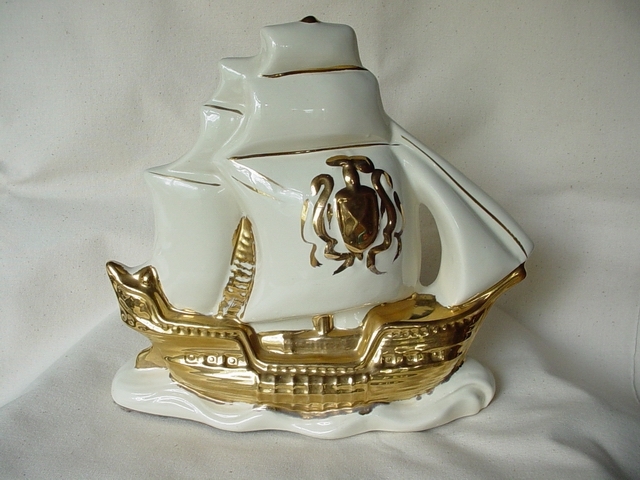 As with their sailing ship TV lamps, Lampcrafts wasn't frugal with their application of 22k gold. 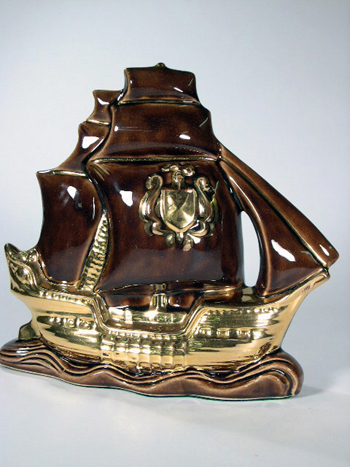 Such decoration was economically feasible at the time, and many potteries took advantage of the rich luster it provided. 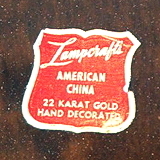 This example still wears the foil Lampcrafts label.